@RockPaper_Sista @willfightevil @Frimmmy @wrongestwrong @SarahSheKicks2 @RinChupeco @Ruetheday852 And we have a mainstream media, from major networks to more popular newspapers and magazines, owned by rich or willing to take bribes to favor content, controlling our media. @RockPaper_Sista @willfightevil @Frimmmy @wrongestwrong @SarahSheKicks2 @RinChupeco @Ruetheday852 How Russia came into the picture, and the evangelicals, is beyond the scope of a simple answer thread but they, and other factors, have been behind our infiltration problem. @RockPaper_Sista @willfightevil @Frimmmy @wrongestwrong @SarahSheKicks2 @RinChupeco @Ruetheday852 @jennycohn1 So, you have controlled media, an entire party, state to fed level, working for rich patrons who want the US to be their feudal system (they want an oligarchy), and Trump thrown in by the Russians/Dominionists tearing our govt to shreds. @RockPaper_Sista @willfightevil @Frimmmy @wrongestwrong @SarahSheKicks2 @RinChupeco @Ruetheday852 @jennycohn1 I would challenge anyone to put on their tin foil hate and come up with something more insane or difficult to believe. But the sorry fact is - this is all verifiable (not even that difficult - nobody's hiding anything) and we witness daily the shitshow. @RockPaper_Sista @willfightevil @Frimmmy @wrongestwrong @SarahSheKicks2 @RinChupeco @Ruetheday852 @jennycohn1 @AliAdair22 There's several out there now - good ones -- search the tag #NoConCon (you can just click it - Twitter tags are automagically search links) for more info. @RockPaper_Sista @willfightevil @Frimmmy @wrongestwrong @SarahSheKicks2 @RinChupeco @Ruetheday852 @jennycohn1 @AliAdair22 So we have hackable voting machines (and they WILL be used as such - and, just my opinion - not just by Russia) to undermine #BlueWave2018 AND our constitution to worry about on top of everything else. @RockPaper_Sista @willfightevil @Frimmmy @wrongestwrong @SarahSheKicks2 @RinChupeco @Ruetheday852 @jennycohn1 @AliAdair22 And that, my friend, along with a media turning the other cheek and normalizing the admin and GOP as everything other than the coup it is, is how all of this is happening right out in the open. I wish I had better things to tell you. @RockPaper_Sista @willfightevil @Frimmmy @wrongestwrong @SarahSheKicks2 @RinChupeco @Ruetheday852 @jennycohn1 @AliAdair22 And I hear talk of Marshall Law being the end all. Really? Why would that not be the beginning of an uprising? Didn't they tell South Koreans to stay in their homes the night before they all rose up en mass and ousted their president? @RockPaper_Sista @willfightevil @Frimmmy @wrongestwrong @SarahSheKicks2 @RinChupeco @Ruetheday852 @jennycohn1 @AliAdair22 I don't know... I do know that doing nothing and simply narrating our demise is not getting us anywhere. We have to do better. 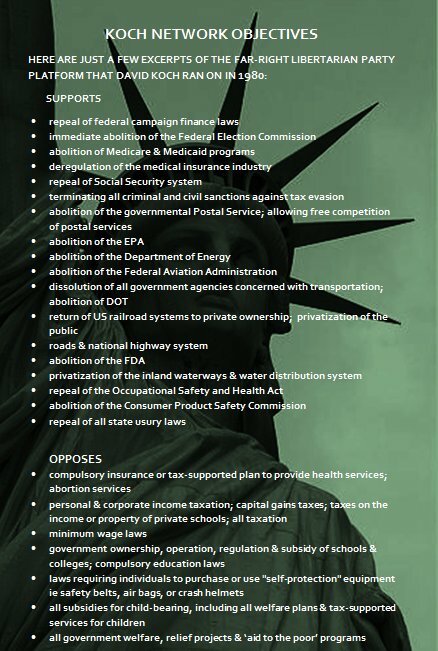 I like the idea of a #GeneralStrike (click that) but can we get the numbers and organization? If so I believe it would work. @RockPaper_Sista @willfightevil @Frimmmy @wrongestwrong @SarahSheKicks2 @RinChupeco @Ruetheday852 @jennycohn1 @AliAdair22 Finally, there's this - and I have to say I'm impressed with the numbers. This is good but we'd be far from safe. Remember that it was ppl like the #Kochs (follow with many other billionare names) who spent decades planting an army of politicians across the entire country to bend it slow to their will. 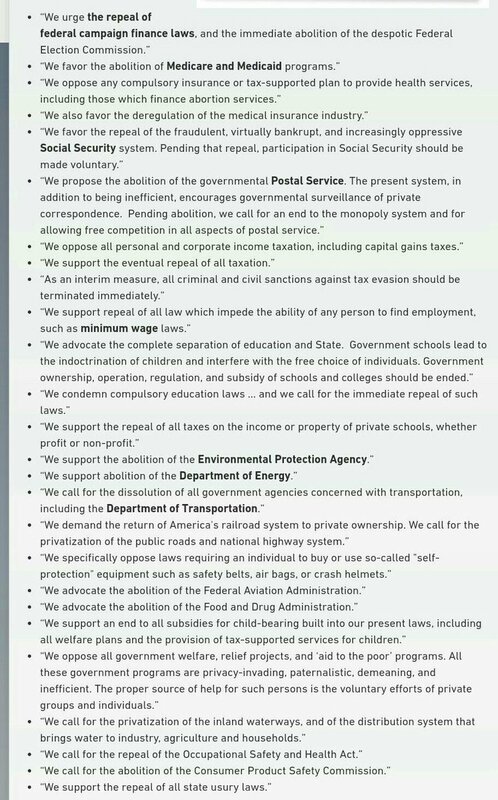 When #DavidKoch ran for VP back in 1980 the libertarian platform (which we now call "#TheKochAgenda") was scoffed at by most as a 'never gonna happen' list. a) It would keep a significant portion of the population bound to hope rather than uprising. b) I'd just blow off whatever findings came of it. c) I'd not care who SC took out - screw 'em. Let's suppose for the moment that's the case - that's why Mueller has been allowed to continue - because I'm Trump, I'm above the law, and I repeatedly prove that. Nobody can stop me and the longer ppl are bound to hope the more power I can consolidate. 1. Some observations on Ukraine. I have been watching the reports of Russian build up and threats of invasion but based on my past observations including the steady Russian ship traffic in Azov I considered it the usual Russian Christmas holiday murder of Ukrainians. 2. But @realDonaldTrump's recent capitulation to @RT_Erdogan and Turkey's ISIS allies may have given @KremlinRussia_E a belief that it can also threaten an attack like Erdogan did, and Trump would cave, like he did in Syria. A coward lets off an odor a predator can smell. That flag is THE reason #Democrats LOST the governorship (& legislative control) of #Georgia in 2002. The state's been #Republican since..
#Georgia's #Confederateflag - & the racist propaganda associated with it - unequivocally lost the state for Dems sixteen years ago. Given the timing of the @staceyabrams story, it's clear that #Republicans are using the #Confederateflag to again whip white voters into a racist fury. This *is* the sound of the last gasps of a dying white-supremacist govt. Yet we must remember that these last gasps often work. * The deregulation of school curriculum.